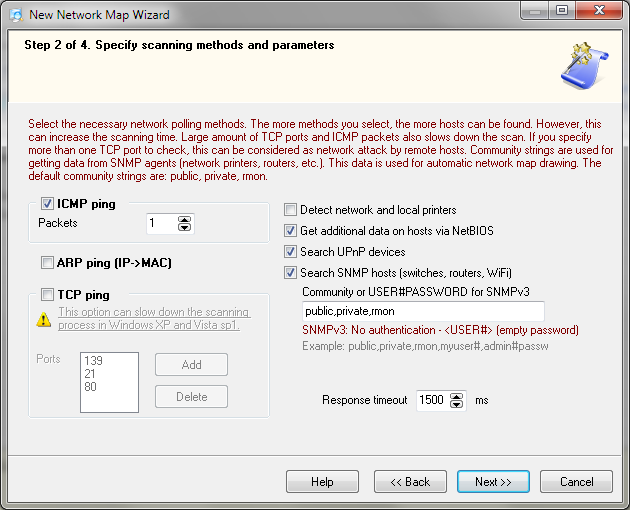 10-Strike Network Scanner is a free program for scanning networks and finding active IP addresses, opened ports, computers, servers, and other devices. You can detect their IP, MAC, and DNS addresses. The programs uses a built-in multi-threaded IP address and TCP port scanner so the network device scanning does not take much time. 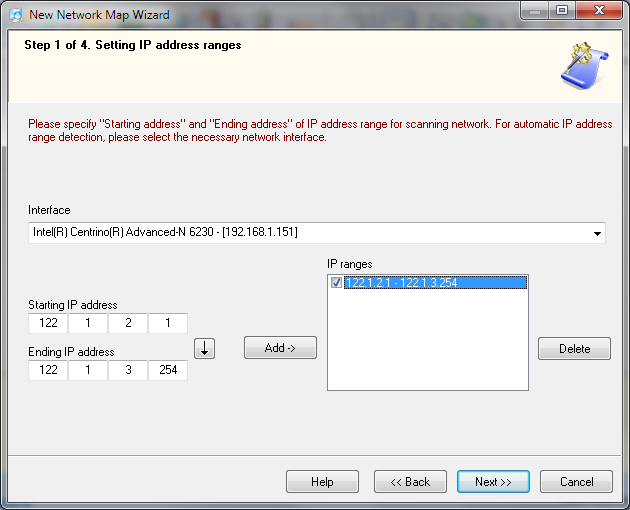 How to detect IP address of a device connected to your network? This can be a smartphone, tablet, or a TV connected to your home wireless LAN. You can also use the program in a corporate network with hundreds of various devices. In any case, our free program can help to scan your LAN, find the devices, and display their addresses (IP, MAC, DNS, WINS). After finishing the scanning process, you can save the result table to a report or copy any address to the clipboard and use it in other applications. The program is completely free forever and you can use it when you need (no adware or spyware included)! The port scanner allows you to find all opened TCP ports and active hosts. 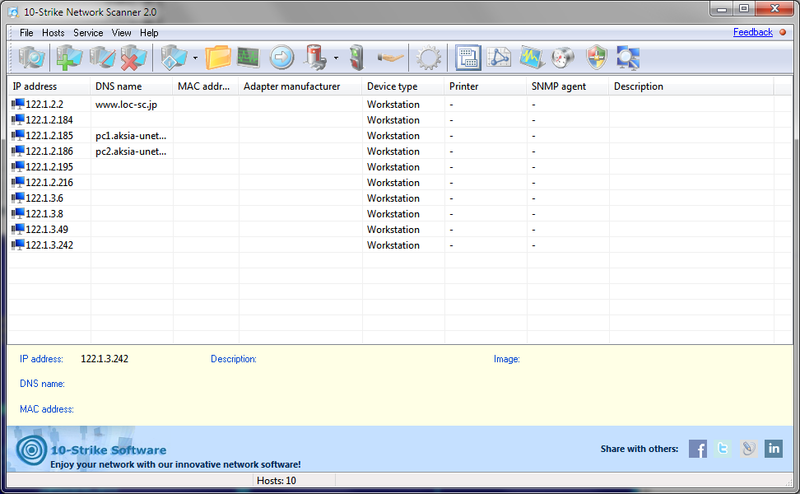 Multiple protocols for scanning the network devices supported. SNMP is supported! You can find managed switches and other advanced network equipment. Find all devices connected to your LAN in seconds using our fast scanning engine. 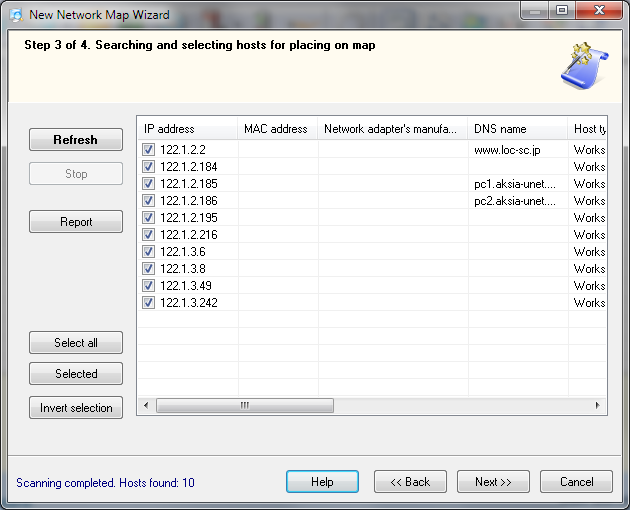 Detect IP, MAC, DNS addresses and export the search results to a report.